This site contains the collected works of British-American poet and writer Ian Barker and is updated frequently with additional items and news. You can comment on articles you see here and subscribe to our RSS newsfeed. Some of the poems have appeared under the pen name “Alex Sykie” but they are, in fact, all the work of one person: Ian Barker. Did you see Ian performing at El Museo Latino in Omaha? If you would like to read the poems Ian read plus a few bonus poems then click here for a PDF of the words. You can read more about El Museo here: El Museo Latino Official website. Ian’s third book Spooky Sayings has been released. You’ll can download it from Apple’s iBookstore, Amazon and Barnes & Noble eBooks shortly. BUT if you want to get it now FOR FREE then click the link below. Ian’s first book of poetry “Can you tell the difference” is available on the Apple Bookstore, Amazon and Barnes & Noble – search for “Can you tell the difference ian barker”. The two books represent a broad cross-section of Ian’s output over the last few years and feature many of the performance favorites along with some of those more suitable for reading to oneself. Yes, if you’re not content with Ian being published in Popshot Zine, Monkey Kettle, appearing on the “This Reality Podcast” (which he’s just agreed to make a semi-regular event every few weeks) plus several other collections and anthologies; SIX of Ian’s poems have also been published in “Reflections from Mirror City” by Tongue In Chic Press. http://thisrealitypodcast.com/?p=1427 Episode 153 – Ian is on about 16 minutes in. http://thisrealitypodcast.com/?p=899 Episode 124 – Ian is on about 18 minutes in. http://thisrealitypodcast.com/?p=840 Episode 120 – Ian is on about 30 minutes in. http://thisrealitypodcast.com/?p=769 Episode 111 – Ian is on about 35 minutes in. Ian has been published in a varied number of poetry collections, anthologies and magazines including the hugely popular and well established Monkey Kettle Anthology, Allographic’s “Small Word” series and the critically acclaimed Popshot Zine (which was featured in both The Observer and The Economist and had widespread coverage amongst many others). 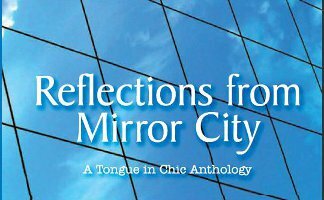 He also has no less than six of his poems in the Tongue In Chic anthology: “Reflections from mirror city” curated by Mark Niel the official Poet Laureate of Milton Keynes. Ian has also performed in a wide number of locations including on behalf of the UK Poetry Society at their bi-centennial event at Stowe Gardens stately home – dressed in 18C finery and performing Robbie Burns poems in the original Scottish dialect! He has had many “featured poet” spots either individually or as part of the “Bardcore” performance poetry collective around the UK Midlands which culminated with Ian being the invited MK feature poet and supporting the great John Hegley in July 2009 at The Madcap theatre in Wolverton.